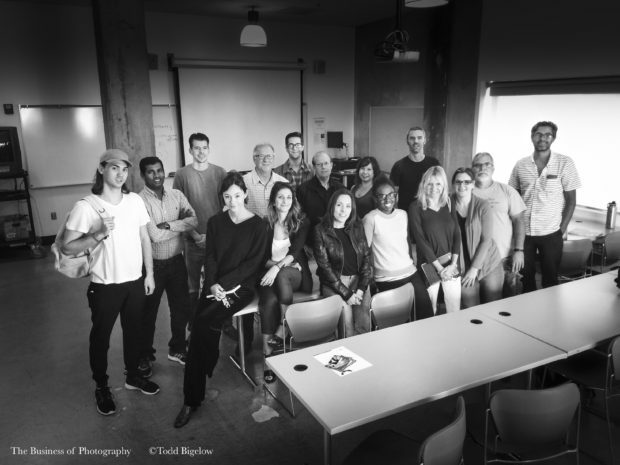 NOTE: IF YOU’RE LOOKING FOR THE MOST UP TO DATE WORKSHOP COURSE AT UCLA, PLEASE VISIT THE “BUSINESS OF PHOTOGRAPHY WORKSHOP” BY CLICKING ON THE HYPERLINK OR MENU LINK ABOVE! There is one absolute that I can share with other photographers after making a living as a freelance photographer for the past 25 years: If you don’t know the business side of things, you won’t succeed. Sure, your work will get you the jobs, but there is far more to making a living in the freelance world than just getting the job. In fact, there are so many steps you need to understand before even attempting to freelance. I’ve spoken to photographers at length about this topic throughout the country and at UCLA over a dozen times (and counting). The comprehensive, 15 hour workshop on the Business of Photography is being offered at a wonderful space in the heart of Westwood right next to the main UCLA campus. The course meets all day on Saturday and Sunday of each scheduled course and class enrollment is kept quite small to facilitate thorough discussions on a wide range of topics. The course almost always sells out. I also teach a popular Portraiture Course at UCLA Extension during quarters when my schedule allows for it. From time to time, I also teach a Street Photography class. This is a fun class and consists of 11 weeks of three hour classes. We meet for 7 sessions in class and 4 shooting in various parts of the city. Each class is devoted to displaying and critiquing each others’ work and studying one of the masters of the genre (Winogrand, Robert Frank, Vivian Maier etc). Contact me if you have questions or want to know when the next course might be held.